Since 1977, I have been blessed to channel the loving energies and messages of "MAMITA", the name that I use to refer to Mother Earth. She has been a loving direction throughout my own awakening, my experiences, travels and personal shifts. Mamita is the one I channel in my Elemental Ceremonies, workshops and healing work as in my Maya Oracle readings. You know, these are extraordinary times. You have heard about it, but something inside of you doesn’t really want to accept it. You fight it, for there seems like there is an automatic response not to believe what is going on. That is very natural, for very few of you know much. Some seekers have had the insight to inform yourselves about this shift and others were taught not to trust, and even laugh about this “end of the world” thing.I am, as a planet, going though a big shift. I would say, I am being reborn. Just as you are. You are receiving all the influx of the new light frequencies, as I Am. And as the consciousness of humanity changes, so does my geography, my seasons, my flora and fauna.Old species and outmoded ideas begin to prove themselves not valid nor equipped for this transformations in my atmosphere any longer. Some of the animals are choosing to go to other dimensions as a species. As the elements, earth, air, water and fire, representing human emotions, cleanse some areas, my beloved children, you are being also confronted with many elements within, that make you start opening your heart to new ways of love.Starting with lovingly taking are of your own Selves.Many of you have needed extreme experiences to change your values. As you needed to survive from earthquakes, floods,droughts, tzunamis and tornadoes, fire and bombings, persecution and massacres,something inside was triggered to help each other survive.And the stories of the many heroes inspire all of humanity as songs and legends that one day will be reminding the new generations of what happened in these times. As a time-keeper of the Sacred Mayan Calendar, an initiated Mayan priestess and a High Priestess of Melchisedek: I am here to serve the planet and humanity as an instrument in service of the living God/Goddess - to harmonize the energies of the four direction and activate vortexes for healing. As a teacher and interpersonal psychologist, I offer workshops and seminars everywhere I go. I believe in sharing the knowledge I have accumulated in order to empower people to choose a path of enlightenment, to live a life of purpose and in pursuit of happiness and spiritual unity. I enjoy working personally with people I meet along my path. From readings to Shamanic journies and personal meetings, I have helped support people on the spiritual path to discover how to use their gifts and talents to pursue a life of purpose and harmony. Flordemayo is a Curandera Espiritu, or a healer of divine spirit. As a seer, she has the ability to see other realms of color, light, and sound. In addition, she has the ability to see the effects of existing imbalances on the physical, emotional and spiritual realms within a person's energy system. She was born in highlands of Central America, specifically Nicaguara and was the youngest of 15 children. She was born under the sign for the seed, in Mayan astrology. As a world traveler she has offered ceremonies and has spoken on a wide range of topics from healing with the use of herbs to her more recent project, The Seed Temple, located in Estancia, New Mexico. She travels the globe to share her healings, prayers, and to foster a more spiritual understanding among humanity. She is a founding member of the Church of the Spiritual Path, the Confederation of Indigenous Elders of the America, Institute of Natural and Traditional Knowledge, and the International Council of Thirteen Indigenous Grandmothers. Being born under the sign of Q’anil (seed), Flordemayo sees her role as cosmic germinator through teaching, community, manifestation and development. In recent years, she began to explore in-depth the wisdom of the seeds. Their teachings revealed a profound awareness that like children, the seeds needed a caretaker to pray for their well-being and survival. In 2012, Flordemayo received a vision during dialogue with the Beloved Mother. In this vision, Flordemayo finds herself sitting in a rocking chair, rocking back and forth while being lovingly guided to prepare seed bundles with prayer. The Beloved Mother had shown a cosmic inspiration for Flordemayo to birth, The Path, an organization dedicated to the conservation and preservation of heirloom and heritage seeds. Now, The Path, prepares seed bundles to be given to the parents of babies being born today and those to be born in the future in the dream of honoring and protecting light beings of all forms in this new era of the Divine Feminine. I am "Jiiniikwe". I am excited and can't wait to see you. i am Buddhist lay person and Native American cultural spiritual leader. I give training in mindfulness and meditation. I was also taught by Maharishi Mahesh Yogi. I also do taichi mandala dance/ charya niritya dance. I am a PhD also in Educational Psychology and emphasis on learning modalities, particularly culture. I have been in 5 Native American movies, sing and record. I am a published writer and international artist. I am a 4th generation Sitting Bull tiwahe, Charging Bear, Cloud Bear, Cetan, Two Packs descendant of the Hunkpapa/Siha Sapa Lakota people of SD and The Great Sioux Nation. I am also Anishinabe and family goes back to Shoots The Mark Keeweenaw and Gnoozhekaaning. I speak and sing Lakota and Anishinabe language. Although there has been suicide on the reservation here, I have been part of community healing across the reservation and participate through culture and spirituality. we are getting ready for winter here on the reservations, if there was going to be any donations, there should be donations to energy assistance on Pine Ridge, many put their children bed with their coats on last year and even one family I know heated their home with a grill. Although oppression and trauma exists on the reservation, there is hope. I raised 3 children from a 1 room house, 1 has a PhD, 1 is a published writer and artist, and 1 has a PD in biology and works in Santa Fe, NM. I stay even though myself is poor, because I am close to the fire and ceremony. I give and share all I can to families and the people here as well. Jeanne Bedell, PhD aka Medicine Bird or "jiiniikwe"
www.bernieheideman.com to hear some of my music. click on the music and dvd link and then on any of the cd's that say listen. you can also see me leading dances and singing some songs by searching my name on youtube. i feel strongly moved to offer this topeople who working on cultivating their heart. it is known how healing laughter is. laughter yoga was created in india by a doctor who was inspired to bring laughter to more people, more often. there are no postures but a series of situations/exercises that encourage laughter for no reason. we will play together. we will be singing uplifting sacred songs including one that came out of the standing rock gathering. we will include some circle songs from the tradition of bobby mcferrin. beth has performed with bobby mcferrin. the bobby mcferrin work is improvised and spontaneous. these dances are circle dances with simple folk dance type movements that include a sacred chant from one of the worlds' spiritual traditions. i play the guitar to accompany the dances and will have a percussionist with me. the combination of singing and moving together allows and encourages the group to be present. i see these dances as a way to multiply our prayers for a better world, for personal growth, for healing, and love. my focus these days is "entrainment" (moving together) and living from the heart. in the last few years i have created some new dances that are especially attractive to younger people. the movements of these new dances have steps that match the rhythm of the chant and are ecstatic. this is a chance to be together in the heart and in presence. lionfire ~ is a shamanic practitioner with over 25 years experience working within a variety of shamanic traditions. known around the world lionfire is a white shaman “two-spirit” of norse and celtic heritage. a bridge between generations, orientations and traditions, he is a reiki master in the usui shiki ryoko, tibetan and shambala traditions, among others and is also certified in acupressure massage. lionfire is currently working with dozens of maya shaman, including hunbatz men, tata pedro cruz and aum-rak sapper. lionfire is a maya “solar initiate”, “priest of ix chel” and guide for many of the world’s spiritual leaders including drunvalo melchizedek, lakota sioux chief standing elk ~ golden eagle and the star nation. during ceremonies on the island of cozumel in 2003, lionfire, pledged himself to the service of the mother goddess, ix chel. part of his mission, as one of the few priests of ix chel, is to help men “heal and balance” their feminine and masculine energies. to that end, he now performs kundalini healings, balancing and activations for men. lionfire teaches reiki and incorporates healing techniques from around the world in his practice. he is skilled in crystal, light and shamanic energy work and totems, plus he specializes in auric cleansings and chakra activations. lionfire offers programs including maya studies and tours, drumming, shamanic shields and vision dance workshops. he assists individuals seeking their animal and dream vision totems facilitating vision quests. “drawing from the senses” is a shamanic awareness program he has developed to help individuals become more in tune with their senses, teaching them the ability to “interconnect”, “bridge”, “focus” and “expand’” their awareness. lionfire was made an honorary member of the world natural health organization in appreciation and recognition of his “attainments and distinguished service” in support of traditional mayan and indigenous shamans at the “first international gathering of indigenous cultures”, in merida, yucatan, mexico in september, 2000.
a professional, multi-faceted artist and performer in a variety of media, his most recent work is drawn from shamanic symbols and patterns of the americas. he is a design specialist in pre-columbian archaeographics and winged spirits throughout the ages. lionfire has had the privilege of working with john major jenkins, sol shanti, jose arguelles, kan'nal, lunar fire, thunderbeat, daniel hicks, imani white and drew bennett, both on stage and in the studio. currently, he is co~creating several maya projects with zero point productions and dr. blue. lionfire's fine art work is in private and public collections around the world, including the royal library in copenhagen, denmark. a colorado artist, healer and shaman for over 25 years, he holds a double masters degree in drawing and painting and has taught drawing, painting and printing at the colorado institute of art and fort hays kansas state university. Martin Herrera native of Peru has spent many years in the Taos, NM and colorado front range communities. martin helped create the sacred fire at arise festival that is now the center of their 'wisdom village'. 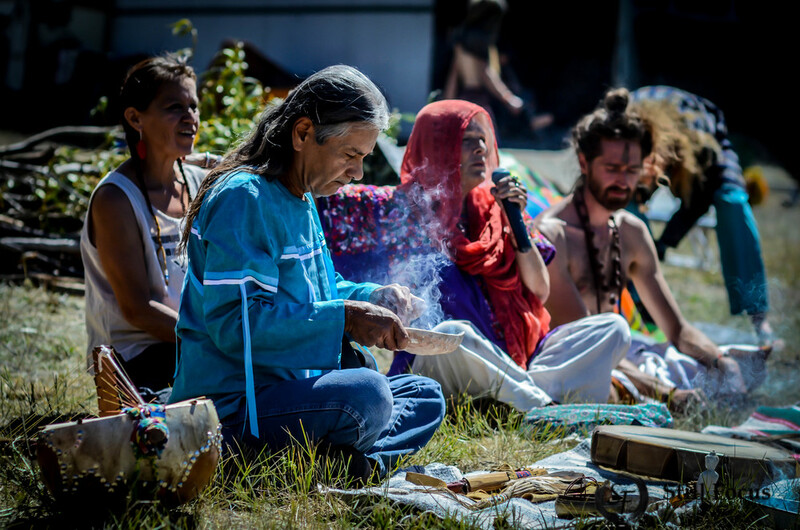 martin held space for 2015, 2012,2009 tribal vision festivals as well as for numerous events at Nederland's sacred fire dome temple. he has helped bring hundreds of hearts and minds back to and deeper into spirit through his teachings of the fire. Wonder Bob ~ is a elder, mentor, teacher, and councilor for the crystalline tribe that we are all embodied. He accesses high vibrational consciousness in extreme mountain areas, receives multi-dimensional intelligence, then delivers this wisdom to those who can receive it. He is a metaphysician and facilitator of consciousness with over 30 years experience working within many traditions. He grew up in a hermetic mystery school and served as an international leader creating sacred ceremonies, methods of awareness, and remembrance of the divine feminine. He has travelled the world practicing geomancy and has been a huge contribution to the healing of the trauma of earth grids. In service to the restoration of the Flower of Life, the 6th Dimensional Grid, that occurred on December 21, 2012, he supports the dimensional evolution of the planet and now the grand convergence of all dimensions. Wonder Bob shares tools and techniques to clear and activate the energetic field via: Diksha Energetic Blessing, Pineal Gland Activation, Merkaba Activation, Angelic Wholeness Blessing, and Dark Matter Kundalini Transmission. The way we breath - natural nasal breathing - has everything to do with the way we engage with our self, each other and most importantly how we connect with Nature. Whether it’s deep and slow to find centering and peace or hard nasal exhaling and chaotic breath exercises to detox the brain and body, we can dissolve negative thinking and experience the beauty of present moment awareness through breath work. Join Tara Sheahan, a joyful and uplifting Intuitive healer, breath work, meditation and mindfulness practitioner and former elite cross country ski athlete to learn the art of breathing. She provides a safe, conscious environment for you to let go of limiting beliefs, addictive behaviors and feelings of being emotionally stuck. The music, your powerful intention, and participation will help you experience a radically positive shift from fear and insecurity to love and inner peace. And to awaken your connection to GrandMother Earth. If you need this, tho you can keep it shorter if you’d like! "prophecies" meaning: our AnceStars ability to see over the horizon of life. The ceremonial "Talking Circles" are open to all genders and forms of prEssence. At just ten years old. Scott, an Indigenous DaNakota Ho Chunk, was an activist for Grandmother Earth. As members of the American Indian Movement, they helped win back the right to speak their language, practice their ancient way of life, ceremonies, and gain back lands forcibly taken from them to steward as they have done for millions of years. Scott is the founder of WhereBisonRoam.com, restoring the health of the Great Plains through the reintroduction of bison and other species. He teaches Indigenous wisdom, wellness and Oyate Omniciye, ‘Men and Women Gathered in a Circle,’ ancient governing and true democracy, and Circle Facilitation. Through Music, Marijuana, an Meditation I will do my best to promote peace and love.